Pantoprazole is a substituted benzimidazole sulphoxide which irreversibly binds with proton pump (H+/K+ ATPase pump) and shows pronounced and long-lasting reduction of gastric acid production. Pantoprazole does not decrease the anti-platelet efficacy of Clopidogrel and is safe in cardiac patients as well as in long term treatment. Levosulpiride is substituted benzamide derivative with selective dopamine D-2 receptor antagonistic activity and 5HT4 agonist activity. Levosulpiride ensures prokinetic (Gastrokinetic) and antiemetic action. 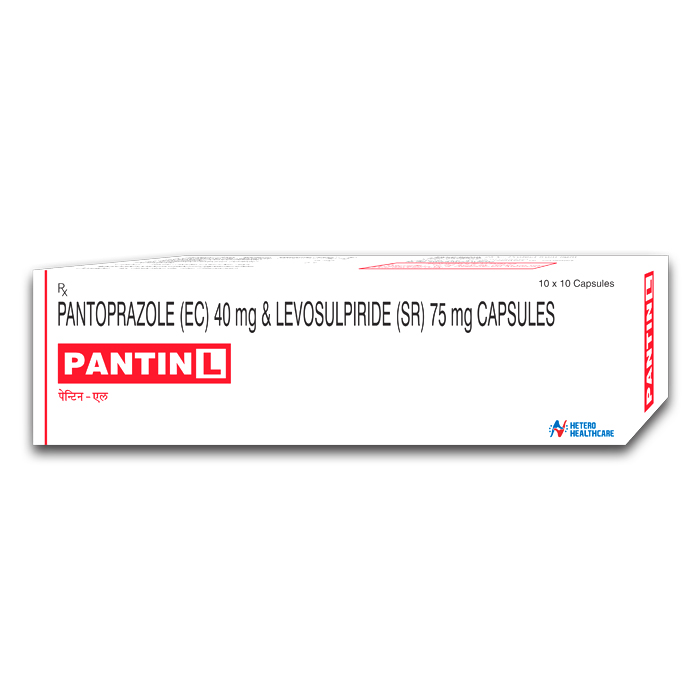 Pantin L Capsule SR is used in the treatment of constipation.